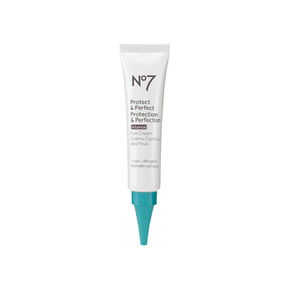 Target key signs of aging around the eyes with this effective eye serum. Our advanced formula with a blend of Hyaluronic Acid, Vitamin C and soft focus spheres instantly smooths, revitalizes and brightens the appearance of skin to give a youthful radiance around the eyes. In addition, an effective fusion of Vitamin A, Cassava and anti-aging Peptides work to visibly reduce the appearance of wrinkles including crow's feet, moisturizes the skin to improve firmness and reduce the appearance of dark circles and puffiness. Targets key signs of aging for younger looking eyes in 4 weeks. 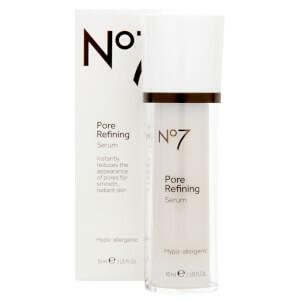 The first clinically proven Eye Serum from No7. Use morning and Evening, dot around eyes and gently blend around their contours. 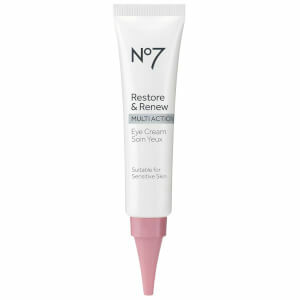 Can be used underneath your favorite No7 Eye Cream. Very good product for the price. I have sensitive skin and it does not irritate. It takes a couple weeks at least of using this product to see results. I have been using it for the full 4 weeks now. I noticed the skin around my eyes has brightened, bags started to fade a bit, and I look a little more rested than before however I did not get the full results I was hoping for but for the price you cannot beat it. This is a great product especially for someone in their teens or early 20's that are just starting a regimen or for when you are on a budget.